The surge in the number of pets being surrendered because of the hard economic times is becoming so overwhelming that many capacity-filled animal shelters are being forced to rely on foster care volunteers to temporarily house the homeless pets until permanent homes are found. Foster care volunteers have become an essential part of the operation at animal welfare organizations and more of them are desperately needed, officials at humane societies across the United States say. "When we have space issues ... we are relying on our volunteers to help as foster parents, thereby allowing us to expand the walls of the [no-kill] shelter," Seattle Humane Society official Ronda Parks Manville told My Setter Sam. The hard economic times are "absolutely" causing more people to surrender pets to shelters, Manville says. "Many of the people surrendering their animals to us say they are losing their homes to foreclosure or they are moving in with friends, family or into small apartments because they have lost a job," she said. "These circumstances have forced them to give up their pets." Joanne G. Mainiero, president of the Massachusetts Humane Society, says the organization's shelter in Weymouth has seen an increase in homeless animals. The no-kill shelter also is relying on more on foster homes to help cope with the problem. 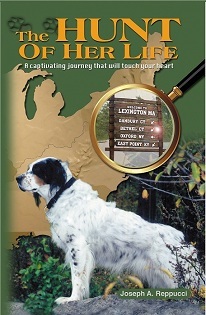 The shelter will "then take the animal in when there is room," she told My Setter Sam. Mainiero says her shelter also tries to work with owners who must relinquish their pets because of foreclosure. If possible, the organization will ask the owner to keep the pet as long as possible while a foster home or adoption can be arranged. Beth Cochran, an official at the Phoenix Animal Care Coalition, an umbrella organization that supports and assists about 100 rescue groups in Arizona, says the hard economic times and home foreclosure crisis have caused a significant increase in the number of abandoned animals. "We have received countless e-mails from people looking for someone to take in their pet either because they have to relocate to an apartment or out of state," Cochran told My Setter Sam. "In many cases it's because they are facing foreclosure or need to downsize to make ends meet." Cochran says the surge in homelessness makes spraying and neutering pets even more important. "It is critical in this environment to reduce the number of births and animals in need of homes," she said. "There are simply not enough homes for those being born and those now waiting in shelters." Cochran also urges breeders to curtail operations during the crisis. "Any breeders who call themselves responsible should not be breeding now," she said. "We need to save the lives of those waiting ... many of which are pups and purebreds." Officials at all the animal welfare organizations are concerned about the hard economic times causing a decline in donations. "The animals are in a critical stage right now," Mainiero said. Some areas of the country, like Texas, have yet to feel the full effects of the hard economic times, but the Humane Society of Southeast Texas is worried going forward. "Thank goodness we haven't seen any of these problems yet," shelter manager Max Mixson told My Setter Sam. "I frequently find myself thinking about the 'what ifs' associated with a recession and wonder what/how it may affect the shelter." Check with friends, family and neighbors to see if someone can provide temporary foster care for the pet until you get back on your feet. Agree to a specific time frame, and check on the pet regularly. Make sure pets are allowed if you are moving into a rental property. Get permission in advance and in writing. Contact the local animal shelter, humane society or rescue group in advance of your move. If a shelter agrees to take in your pet, provide medical records, behavior information and anything else that might help shelter workers find a new home for your pet. "It is difficult and heartbreaking to lose a pet as a result of economic hardship," ASPCA President Ed Sayres states in a media release. "But pet parents may take comfort in knowing that their pet will be better off if they plan ahead and keep their cat or dog’s well-being in mind."